1) Loyola ‘B’ 26 (Prem Parab 10 pts, Pranav Badhe 6 pts) Beat Indira 6 (Atharva Pandit 4 pts) Half Time 18-2. 2) Kamal Nayan Bajaj 46 (Pritish 22 pts, Sahil Singate 6 pts) beat S.M.Choksey 0 Half time 36-0. 3) Hoopers ‘A’ 50 (Eshan Gokhale 12 pts, Shashank Parandekar 6 pts) beat M.P.A. 2 (Yogiraj Pandit 2 pts) Half time 30-2. 4) Vayu 43 (Prithviraj Deshmukh 18 pts, Husein Nagarwala 13 pts) beat Impact Basketball Academy 5 (Ahterva Pandharpure 4 pts) Half time 21-5. 5) New India 26 (Aditya Pratap Singh 8 pts, Heramb Joshi 4 pts) beat Kaveri 13 (Vedant .B. 13 pts) Half time 14-6. 6) St.Vincents ‘B’ 8 (Prathamesh Kamthe 2 pts, Shaunak Limkar 2 pts) beat Sharpshooters 5 (Tanishk Fere 4 pts) Half tiime 4-4. 7) St.Vincents ‘A’ 26 (Atharva Taware 8 pts, Veer Sanghvi 6 pts) beat Modern BSC 8 (Prajwal Dudhal 4 pts) Half time 14-4. 1) Millenium ‘B’ 30 (Chirayu Shah 10 pts, Aryan Limye 6 pts) beat Mitra Mandal 6 (Utkarsh Chavan 4 pts) Half time 12-2. 1) Hutchings 14 (Malvika Nair 4 pts, Poonam Verma 2 pts) beat Angels 5 (Aangha More 4 pts) half time 4-1. 2) Chintamani Nimhan Sports Academy 28 (Samruddhi Gadwe 8 pts, Sanika Deshmukh 6 pts) Beat St.Josephs 0 half time 6-0. 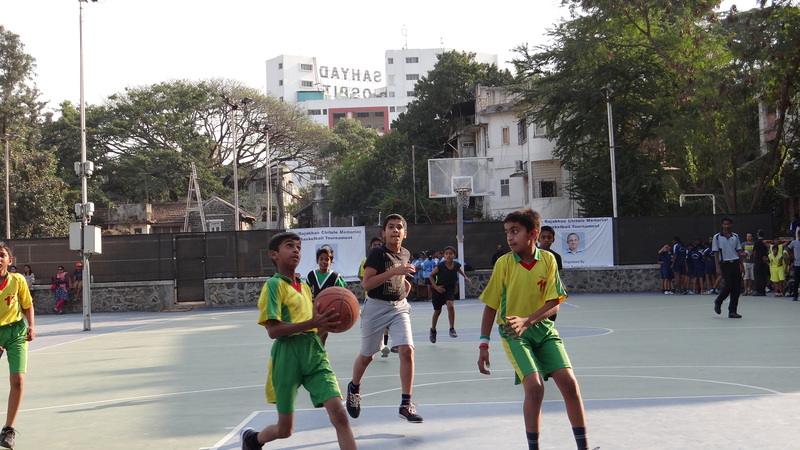 3) Sharp Shooters 44 (Sakshi Shinde 10 pts, Khusboo 12 pts) beat St.Marys ‘A’ 1 (Riddhi Sonney 1 pt) Half time 22-1. 4) St.Marys ‘B’ 32 (Ilisha Chandwadkar 8 pts, Aditi Patil 6 pts) beat Vidyanchal 1 (Ria hejib 1 pt) Half Time 12-0.